My name is Mario. I am learning to guard these big white fluffy things that say “Baaaa” a lot. My Mom is my teacher and she says that I have great potential as a guardian. 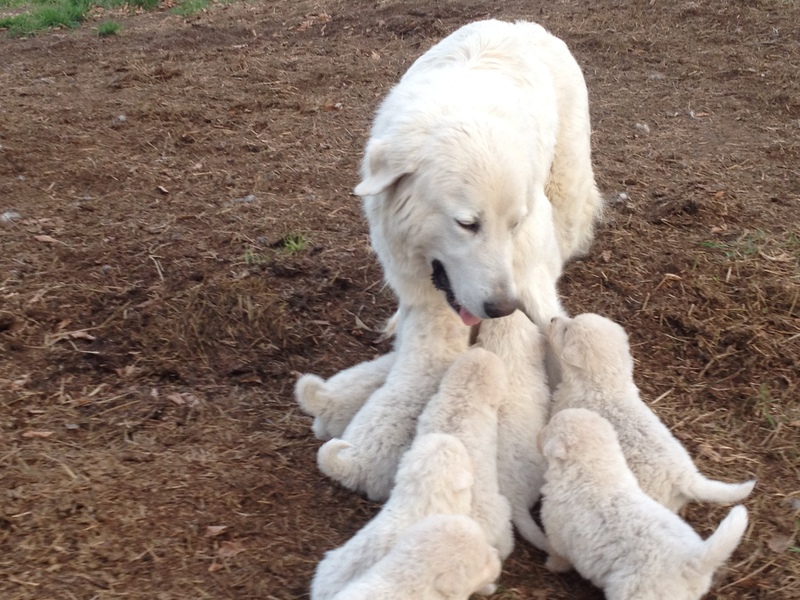 Announcing the birth of 8 Maremma puppies to Mona Lisa and Leonardo on November 14, 2015. Mona Lisa is our Italian import that we chose while traveling in Italy in the Spring of 2014. The father of the puppies is Leonardo, whose parents were both imported from Italy and who have Italian champion bloodlines. Both parents are guardians for our Katahdin sheep. Cost of puppies is $850. Price includes age appropriate vaccines, deworming, microchip, vet check, litter registration, full breeding rights and one year puppy health guarantee. Puppies are ready to leave the farm on or after January 8, 2016. Reserve your puppy today with a $200 non-refundable deposit. 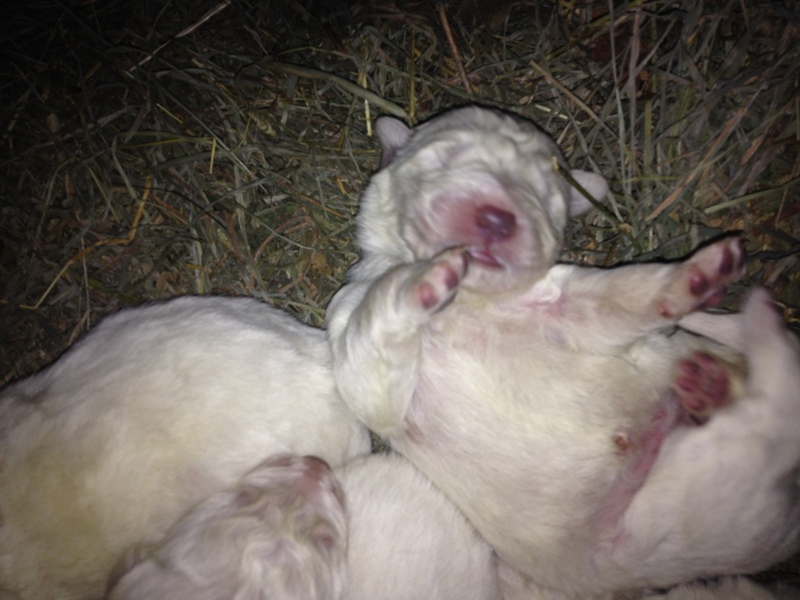 Announcing the birth of ten beautiful Maremma puppies born to Bella and Leonardo on March 18, 2015. 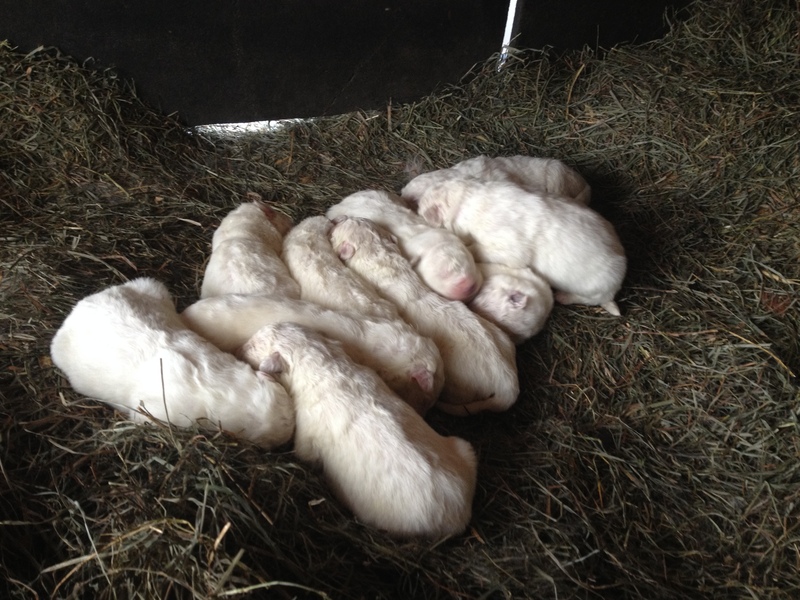 Puppies will be raised with approximately 40 Katahdin sheep and will be exposed to chickens, cats and children. Cost of puppies is $800. Price includes age appropriate vaccines, deworming, vet check, litter registration, and one year puppy health guarantee. 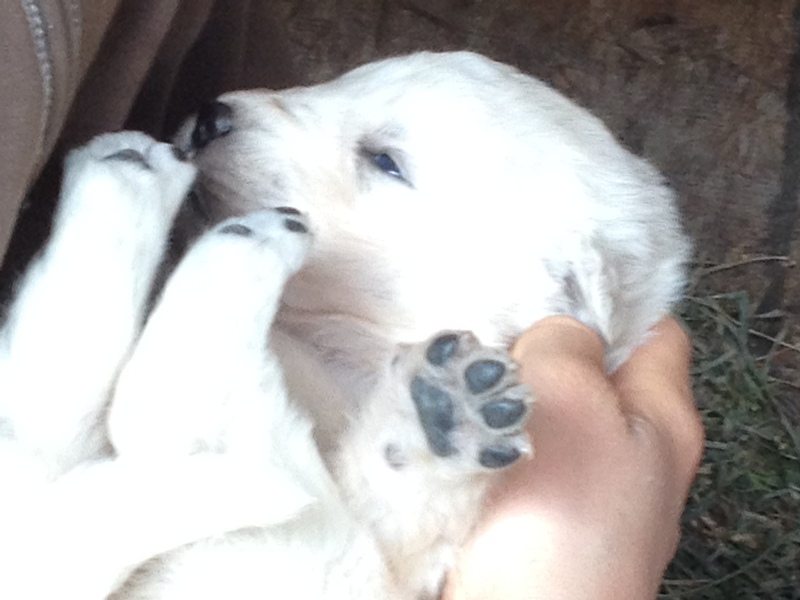 Reserve your puppy today with a non-refundable deposit of $200. Ok now! No pushing! Which one of you was first in line for the milk? Look Mom! I can count all my fingers and toes! Whew! I just got a whiff of my toes! If someone could just give me a little nudge, I think I might be able to roll over onto my rollie pollie tummy! Introducing Mona Lisa; our newly imported Italian Maremma puppy we purchased from Italian breeder Dario Capogrosso during our travels to Italy in April of 2014! She is truly a masterpiece!